We are pleased to welcome you to our office in Huntington Beach, CA 92647. We have been providing quality eye care, specialty contact lens fitting and meeting your ophthalmic needs in Huntington Beach for over 30 years . We have recently remodeled our office and now offer the latest in computer aided examinations for you and your entire family. 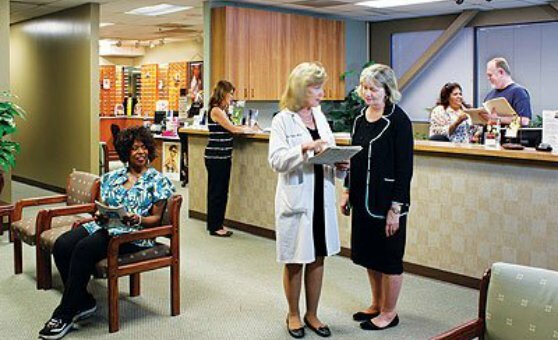 We look forward to the opportunity of serving your optometric needs. We are conveniently located adjacent to the Huntington Beach Hospital and would be delighted to have you as a patient.